Here are some of The Shamrock’s most popular articles published online . . . click on the graphic to read the article. The Mighty Atom’s Moment of Magic . . . The story of an East End community, its role in the foundation of Celtic FC – and much, much more . . .
A Championship finale like no other . . . 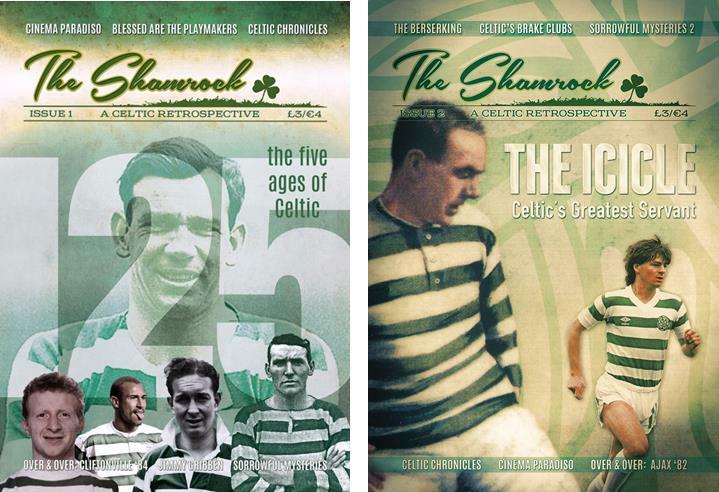 There has never been a goalscorer – before or since – like Jimmy McGrory. Here we recount just one of his memorable record-breaking feats . . . Uh -oh – here comes Cascarino . . . Enjoy these individual reads . . . the magazines are even better!